Wassup, Aashika Bhatia & Manjul Khattar? 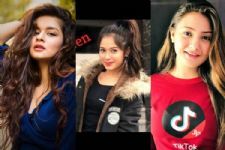 Not very long ago, we reported about Aashika Bhatia dating tik tok star Satvik Sankhyan. 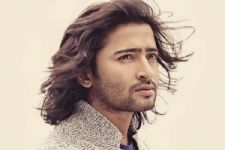 Aashika, who has been part of popular shows on TV like Kuch Rang Pyar Ke Aise Bhi and Parvarish is also a current Tik Tok sensation. Aashika and Satvik recently made their relationship Instagram official and the happy couple's socials are flooded with cute lovey-dovey pictures and adorable tik toks. But, before dating Satvik, Aashika Bhatia was dating Tik Tok star Manjul Khattar. Both of them dated for a short time span and then broke up owing to different reasons. 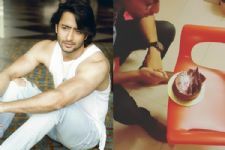 Later, the news of Aashika dating Satvik was doing the rounds and Manjul was rumored to be dating actress Ritika Badiani. However, later Ritika confirmed that the two are just friends. After break up, Aashika and Manjul were never seen together, but last night we spotted them hanging out and posing for pictures together. Apparently, Manjul was back in Mumbai last night and he along with Ritika were spotted hanging out in Navi Mumbai with Mumbai's Tik Tok group. Aashika and Satvik also happened to be there. According our sources, Ritika asked Manjul to go and talk to Aashika. The two then were seen talking to each other and also posed for some pictures. Seems like the ex-lovers have buried the hatchet and have solved the differences. 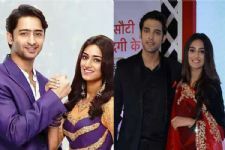 Erica was given the TOUGHEST choice ever- Shaheer or Parth; here's what she said!